There are several older electric models such as the EZ GO Marathon and Medalist, both of which were made in the 1980's to 1990's - you can tell these carts by their front cowl and seat back. The Marathan electric golf cart was manufactured from 1980 to 1994. The Medalist was made from 1993 to 1999. Electric golf cars are now the number one choice for personal and golfing use. 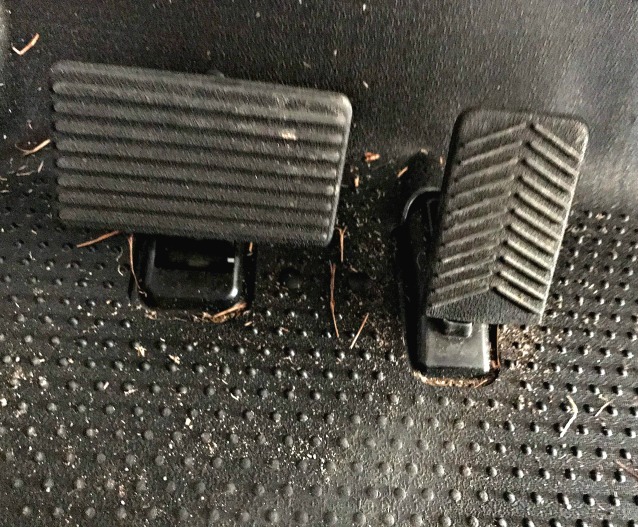 They offer a quiet and comfortable ride with very little need of repair and are environmentally more friendly. Use it all day for golfing, getting to the pool, or shopping and then recharge it at night. My son-in-law has a 4 passenger EZGO Electric Golf Cart that they have owned for 10 years. It is great for taking the kids to the pool or for golfing 18 ( or maybe more) holes of golf. The newer models include the Freedom RXV and the TXT. 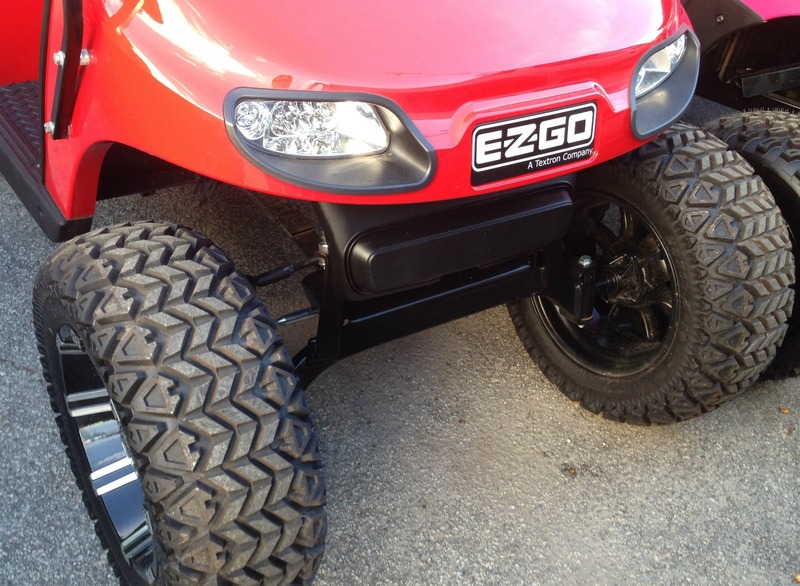 This EZ GO model became available in 2008 and is still being manufactured at the present. The Freedom RXV electric model requires less energy to charge and features a thicker foam padding in the seats, a wider roof or top that prevents rain from dripping inside, and a larger bag well to accommodate bigger golf bags. The Freedom RXV cart offers a dual-braking system that eliminates the manual parking brake on the electric cart, and will brake automatically on steep grades for better safety and control. This means that the park brake automatically engages when the cart stops – requiring no foot pedal engagement. Golfers love the automatic brake making it easier and quicker to get off the golf cart since they don't need to set the brake with every stop. The frame is built of welded steel with a DuraShield Epoxy coating. It's a 48 volt cart with four 12 volt deep cycle batteries. Standard features include headlights, taillights, brake lights and horn. Of course they are fully customizable and offer many options and accessories. The EZ Go TXT comes in three versions - the standard (with no lights), the TXT with lights and then the TXT with lights and a rear seat. The original TXT was manufactured from 1994-2013 and the TXT redesign became available in 2014. My daughter and son-in-law have owned their 4 passenger EZGO electric golf cart for 5 years. It is a good, solid performer with plenty of power to get up the steep hills with a full load of passengers. Although my Club Car is newer, their cart is much faster and with some regular battery maintenance and cable cleaning it has been a super reliable cart. 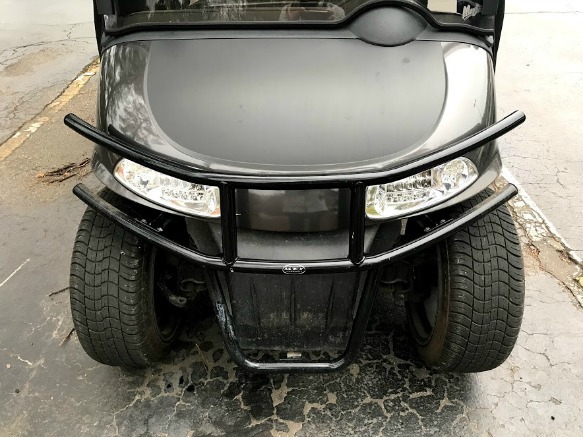 Other than a flat tire, they have had no repair issues with their cart - which they use all the time for transportation in our golf cart community and for golfing. 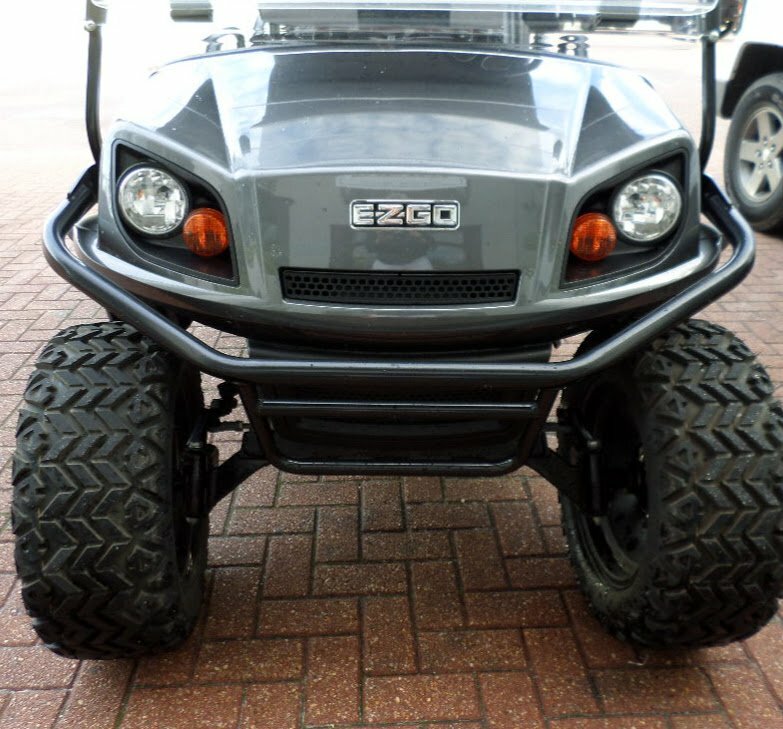 When you decide to purchase an electric golf cart, pick one of the better known golf cart makes such as EZ GO, Club Car or Yamaha. It is much easier to find repair parts and golf cart accessories than it is for lesser known brands. 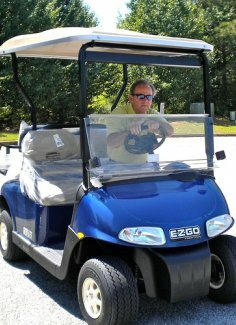 The new front design, higher ground clearance and increased power of a 72-Volt AC drivetrain is making this EZ Goelectric golf cart a frequent sighting in Peachtree City.